Some of the world's leading wine experts have selected for Spanish Wine Lover their favourite Spanish wines in 2017. Spanish Wine Lover has always been interested in discovering the perception of the country’s wines outside our borders. Instead of compiling our annual list of favourite wines —a classic piece in wine journalism just before Christmas— we have asked leading wine experts abroad to tell us which Spanish wines have truly surprised them this year. The range of options was wide open: It could be a widely available wine or a limited production bottling; it could come from a well-known region like Rioja or Priorat or from a maverick producer making a few thousand bottles in a remote part of the country; or it could be an expensive, exclusive wine but also a humble everyday wine. The choice was theirs. We are deeply grateful to Tim Atkin MW (UK), Sarah Jane Evans MW (UK), Eric Asimov (US), Jon Bonné (US), Andrea Frost (Australia), Kenichi Ohashi MW (Japan), James Suckling (Hong Kong) and Patricio Tapia (Chile) for sharing their selections with SWL. A special thanks to Yolanda Ortiz de Arri and Bill Ward, our US correspondent, for their work in collecting the opinions of many of them. Fascinating wines come from all corners of Spain, but this December I am focused on amontillado. It is even the subject of my monthly Wine School column. The three wines I chose, which readers and I will drink and discuss over the next few weeks, include a classic young amontillado, Hidalgo-La Gitana Napoleón, fresh from its life as a manzanilla; an unusual young amontillado, Valdespino’s Tío Diego, the rare single-vineyard sherry; and Fernando de Castilla’s Antique, an intense amontillado that has gained complexity through aging. Sherry, as is well known to aficionados, is one of the great values in the world of wine, little understood and vastly under appreciated. Part of the challenge is knowing how and when to drink them. I have had amontillado with poultry dishes, Cantonese and Japanese foods, mushroom risottos and raw oysters. But I don’t think any match is better than nuts, hard cheese and jamón Iberico. 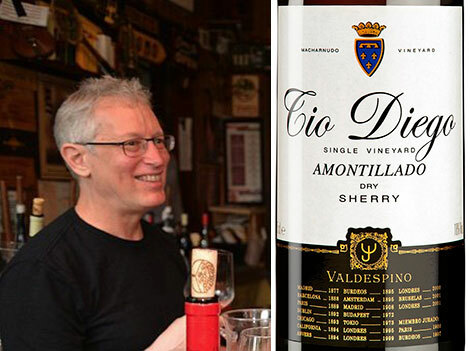 Find Valdespino Tío Diego for €11.95 at Decántalo or via Wine Searcher; Fernando de Castilla Antique for €32.40 the 50 cl. bottle at Lavinia or via Wine Searcher: and Hidalgo-La Gitana Napoleón for €11.35 at Vinisssimus or via Wine Searcher. Eric Asimov is The New York Times’s wine critic and author of How to Love Wine; A Memoir and Manifesto. I’ve had so many great Spanish wines in 2017 – with Rioja, Ribera del Duero and Ribeira Sacra leading the way – that it’s an invidious task to choose only one. But here goes. I had this remarkable dry Sherry at the end of a meal with my friends, Neil Beckett (editor of The World of Fine Wine) and fellow Master of Wine, Simon Larkin. 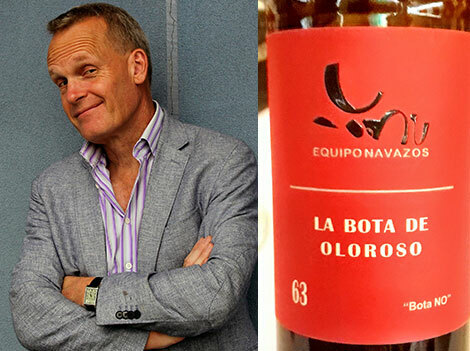 Neil is a huge Sherry fan and a collector of rare bottles like this one. Like a conjuror pulling a rabbit from a top hat, Neil reached into a bag and produced this stunning Oloroso for the cheese course. Normally, I prefer the grace and balance of Amontillado and Palo Cortado styles to the power (and sometimes added sweetness) of many Olorosos, but this was different. It’s a very old wine from Chiclana, a coastal town close to Cádiz. Yes, it’s concentrated and rich – showing the effects of 80+ years of ageing – but it also has remarkable focus, extract and, underlying it all, the freshness and balance that characterises all great Sherries. Bravo to the Equipo Navazos team for sourcing and bottling this gem. It was a fitting end to a great dinner, a wine whose flavours lingered on my palate on the long tube journey home. Find this wines for €85.55 the 37,5 cl. bottle at Gourmet Hunters o vía Wine Searcher. Tim Atkin MW is an award-winning wine writer and MW. A regular contributor to a number of publications, he runs his own website www.timatkin.com, is one of the Three Wine Men and co-chairman of International Wine Challenge. Jerez is a sentimental but long bet by anyone's standards these days, in that we may love the wines—but "we" are that wine elite. And if we understand the craft and context of brilliant sherries from Equipo Navazos or Valdespino or wherever, we haven't yet convinced the broader world to join us. So the prospect of unfortified still wines coming from the region might be an even longer bet. It's one I'll take, though, for the moment. What got me thinking about such things wasn't the Navazos efforts on this front, although those are experimentally curious. It was a set of wines I tried at a tasting in Paris, of all places, poured for me by a guy named Alejandro Muchada. His 2016 Palomino is under the rubric of Muchada-Léclapart, which is a joint project between Muchada, who worked in Champagne with David Léclapart, one of the region's biodynamic pioneers, and Léclapart himself. The idea of a Champenois involvement in Jerez might seem weirder if not for the almost preternatural fondness that Champagne makers have for Jerezanos, even coming south to Andalusia to hold salons (and see a bit of sunshine). In any case, Muchada located parcels of very old vines in Sanlúcar, mostly Palomino plus a bit of Muscat, and uses an old bodega in Sanlúcar to make the wines. Which have no flor and no fortification, but retain that lightness and salinity that Sanlúcar imparts to manzanilla. Aging in some old manzanilla and amontillado casks might explain a bit of it, but it's more that these are serious, soil-driven wines, showing albariza bite and that savory dominance over whatever fruit might be there, plus the glossy texture that low-acid Palomino aged in barrels can offer. The 2016 is not in bottle yet (and for sure the cask sample of 2017 is a ways out) but after a long time looking for signs that Jerez might evolve fruitfully toward the future, this one strikes me as one of the most promising yet. Editor’s note: This wine is set to be released at the end of spring 2018. Its price is yet to be unveiled. Jon Bonné is an American wine writer. 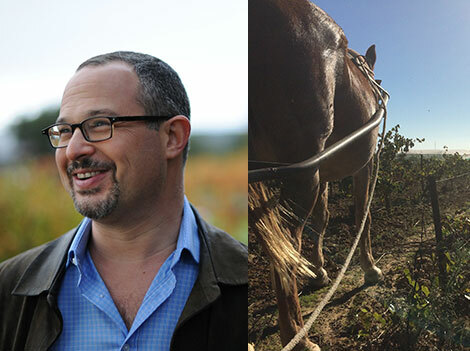 He is the senior contributing editor at Punch and author of The New Wine Rules and The New California Wine. When you work in wine, it’s very easy to get distracted by novelty. And Spain at the moment is going through such interesting times that there is constantly something new to discover and enjoy – a recuperated variety, a revived subzone, a new business. Thus it’s equally easy to ignore the established and the commercially successful – like Rías Baixas. Here is a DO that is on every supermarket shelf, as well as on every wine list. 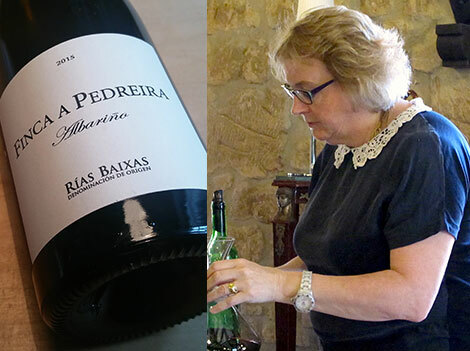 Rías Baixas is producing approachable, crowd pleasing, consistent wines, known the world over. Surely it is the least likely place to surprise and charm? Not at all. Tucked away in a ‘garage’ in Sanxenxo, a short distance from the beaches, is Bodegas Fulcro. Manuel ‘Chicho’ Moldes’s vines grow on granitic sandy soils, with strong sea influences, and he makes the wine with minimum technology. Finca A Pedreira is a silky, saline speciality: no oak, natural yeasts, no malolactic, on lees for five months with 10% barrel aged wine blended in – electric! Find this wine for €10 at Minimal Wines or via Wine Searcher. 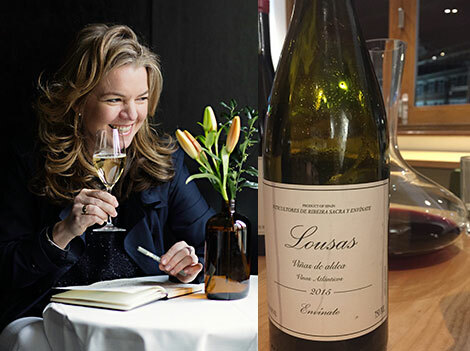 Sarah Jane Evans is a Master of Wine and author of the forthcoming book Wines of Rioja and Northern Spain. I nearly didn’t taste it, but it was the surprise wine of the night. It was August this year and I had recently arrived in London on one of my semi-regular ‘sensory sabbaticals’ — an extended trip abroad in which I set out to expand my world by tasting more of it. I happened to be in London at the same time as two other wonderful wine professionals I met at different times in New Zealand — wine consultant and Master of Wine Madeleine Stenwreth and winemaker and New Zealand wine legend Ben Glover. Over dinner and several bottles of wine, we reflected on how wonderful, diverse and sociable the world of wine is. And what a brilliant way it is to see and taste more of the world. Naturally, we broke conversation and took time to genuflect over our wines — there was the Champagne that, after some triage, we rejected for being corked; there was the saline, savoury and energising Assyrtiko, and there may have been another, but by then I was not so bothered by the detail and just enjoying the pleasure of it all. It was late; fading, but not quite ready to draw the curtain on the night, we asked for a single glass of red wine each and left it to the waiter to choose. In the second it took to flick the wrist, swirl the glass and hover our noses over the wine, we were alert, engaged and excited again. What was this? The aromas were pretty and gritty at once — squashed red fruits, medicinal herbs and the slightest hint of white pepper and spice. Could we guess? The palate was just as enchanting with a silky juiciness that ebbed and flowed around an underlying crunch. Could we have the rest of the bottle? And a decanter? Our sommelier, as happy with his choice as we were, obliged. And so, as the chairs were stacked around us, the kitchen cleaned and the restaurant emptied of all the guests, we devoured the rest of energising and vivid wine. It was the surprise wine of dinner and the perfect exclamation mark on our night! Find this wine for €15.40 at Gourmet Hunters or via Wine Searcher. Andrea Frost is an award-winning wine writer, columnist and author from Australia. Among other publications she contributes to The World of Fine Wine. Carralcoba was served by my good friend Ben Henshaw from Indigo Wine in London this year. I know Rias Baixas are very popular and shought-after wines to be paired with seafood, but I often find metallic notes on the nose and palate in some of them. This feature makes them probably better suited for grilled fish given its firmer texture, but in sashimi the texture is softer and the metallic edge of some Rias Baixas wines feels like a discordant note. I think that Eulogio Pomares is an outstanding producer. I particularly enjoy the minerality and the vibrant quality of this wine. Of course, this is a very personal opinion influenced by my Japanese origin. I am also a big fan of López de Heredia, a traditional winery producing judiciously controlled, superb high quality Tempranillo-based wines with a rustic dimension. The long oak aging in their historical cellars in Haro is responsible for a distinctive, savoury character on the mid-palate. It is really difficult to enjoy classic style Rioja like this nowadays – I feel nostalgia for this style of the past. Of course, Rioja's terroir comes through in Tondonia's wines and it is also possible to feel the region's cool climate compared with other Tempranillo producing areas in Spain. Find Carralcoba Albariño 2015 for €26.90 at El Sumiller or via Wine Searcher and Viña Tondonia Gran Reserva 1995 for €90.96 at Bodegas Santa Cecilia or via Wine Searcher. Kenichi Ohashi is the third generation owner of beverage distribution company Yamajin Co., Ltd. 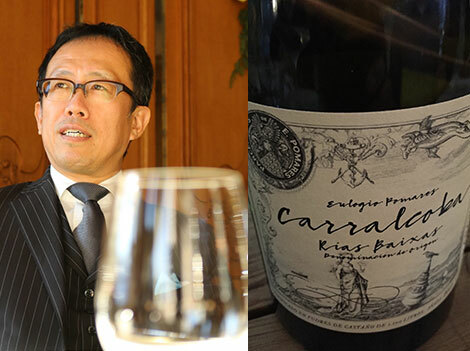 The sole Japanese Master of Wine so far, he also holds the title of Master of Sake and is sake chairman at the International Wine Challenge. This year I tasted with my team more than 1,200 Spanish wines while in Rioja in June and there were many surprising bottles. It’s hard to pick just one wine out of so many. 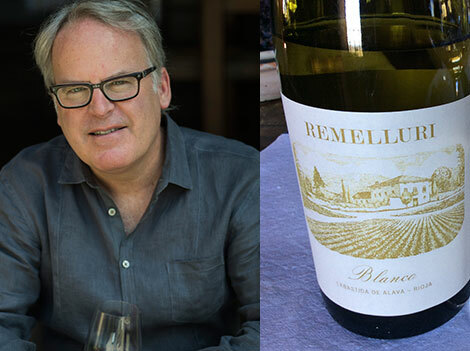 But one that comes to mind is the Granja de Nuestra Señora de Remelluri Rioja Blanco 2014. This is arguably one of the greatest whites made in Spain and it shows real classicism as a Rioja white yet it’s also so modern with its clarity and precision. I was surprised to find a bottle of the wine in my local market a few months ago in Hong Kong – City Super – and I bought it immediately. It was a great, energetic white that was the perfect match with the grilled mackerel and kimchi rice for dinner that night. I was sad to find out that it was the last bottle the shop had of the wine the day after the meal! I wanted to buy more. Buy this wine for €49,90 at Lavinia or via Wine Searcher. James Suckling is an American wine critic and journalist with 30’ years experience. He is currently based in Hong Kong where he works as CEO and editor of his own wine media platform and events company JameSuckling.com. As we approached Haro, we began to realize the magnitude of the disaster. Hundreds of hectares burned by the frost, as if the fire had passed there. It was on May 3rd this year, in the morning, and of course it was not the best welcome to Rioja. But then came the wines and the food and the people and we pulled ourselves together. Fortunately, this year I had many great Spanish wines. There are some manzanillas pasadas, some wines from Tenerife, and of course more than one Galician red. But I’ll pick a wine that, in a certain way, opened a path for me. It's a Rioja, a very simple “vino de cosechero” style that I tried with the Mugas that same morning in May, after touring the devastated vineyards. Eneas Maceración Carbónica 2016. I, at least, had never heard of it and it blew my mind. The radiant fruit, that crisp freshness; one of those wines that you cannot stop drinking. 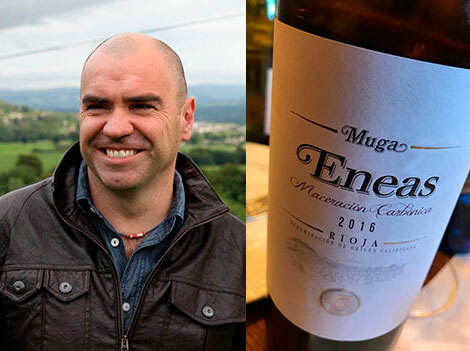 And, yes, it is true that Prado Enea is "a bigger wine", a cathedral made of stones up there, at the top of the Rioja Alta, but this younger sibling, this brother that the Mugas almost don’t show, can be a new way to see Rioja, at least for external markets. A new path, a new and refreshing face. Find this wine for €10.75 at El Corte Inglés. Patricio Tapia is a Chilean wine journalist, author of the wine guide Descorchados and contributor to Decanter and Wine & Spirits.